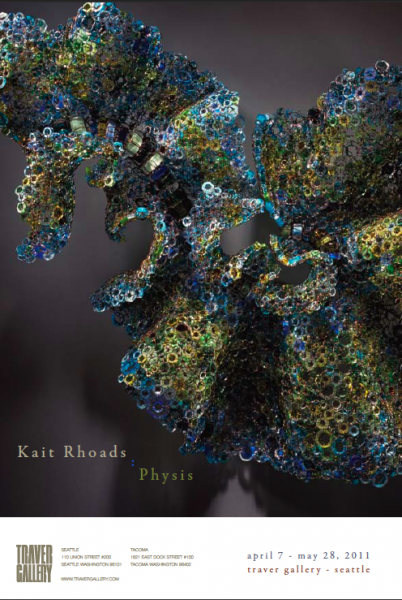 Kait Rhoads » The Catalogs are here!!!!!! So exciting – I have finally got the catalogs in hand!!!!! I will do my best to get them out early next week to my staunch Kickstarter supporters as I am still waiting for the show cards! They look so beautiful and I am so very thankful to everyone’s pledges for this project! It would not have happened without you – really! I have about a week until the opening and I am still busy getting work finished to take to the photographer’s this coming weekend! 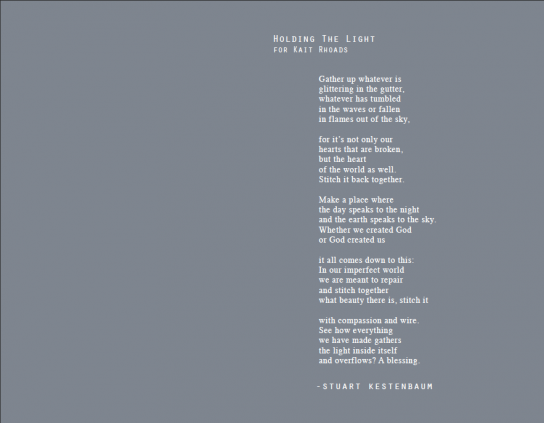 Here is the image of the show card and then a taste of the catalog in the form of a poem in it by Stewart Kestenbaum. The show card is Beautiful!!! And Stuart’s poetry is a true complement to your sculpture, and radiates all that you bring to your art! I look forward to seeing the catalogs in person! Enjoy your show and I hope it is a great success for you!